Citizen has announced Arc-en-ciel as their new reseller in France. Citizen, manufacturers of market-leading dye sublimation (dye sub) photographic printers and media for the wedding/event photography and retail photo-finishing markets, has announced Arc-en-ciel as their French reseller. The new agreement with Arc-en-ciel demonstrates the continuing growth of the Citizen brand across Europe, the Middle-East and Africa; offering French customers more choice and growing Citizen’s network of photo resellers. Jean Declerck, who is the driving force for day-to-day operations and business development at Arc-en-ciel said: "We are extremely confident in our ability to work together with the team at Citizen, to grow the brand in our region, and enjoy a great level of support to do so. We believe that the Citizen brand can quickly become the new leader in the French event photography market; most people are already aware that Citizen is the leader in sublimation printer manufacturing and we’ve been keen to secure this agreement in order to pair our leading customer service with their exceptional range of photo printing products." Arc-en-ciel is not unfamiliar with Citizen products, having sold a growing number of units in recent years. 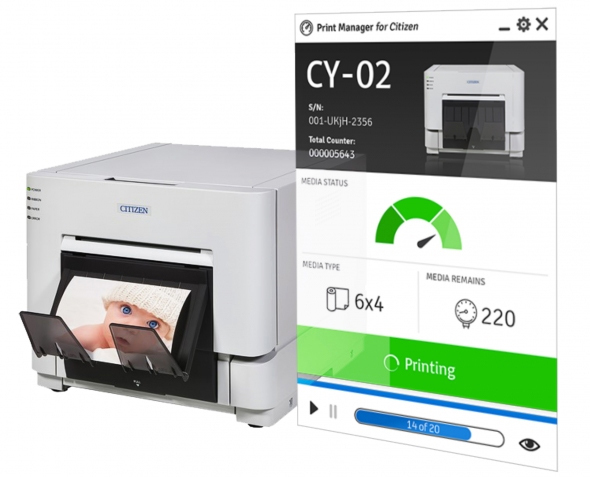 The new Official Reseller agreement will help to assist the business to establish a showroom with a dedicated range of Citizen dye-sublimation photo printers. This will allow the team at Arc-en-ciel to deliver their exceptional customer service, which is the hallmark of the company and customers will be encouraged to test products and workflow solutions, such as the new Citizen Print Manager software solution. This software is free for Citizen customers and demonstrates the end-to-end solution that is currently provided by Citizen; providing minimal downtime with unparalleled reliability and quality of print finish. Jean added: "It can be difficult to buy the right printer without the opportunity to test the products and that’s why our customers appreciate the confirmation that everything will work before making their purchase. We also ensure that our stock levels are continuously maintained. We try to have every consumable a customer might need, in stock. Our deliveries are made within 24/48hrs 97% of the time. It’s this level of service that sets us apart as a business and why we are proud to partner with a quality brand, like Citizen." More information on Arc-en-ciel services, Citizen products is available on their website.